Effective communication is one of the key factors for running a business. It matters not only for conducting daily business operations, but also plays a significant role for sales and overall workforce productivity. With an array of extensive features and capabilities business VoIP systems are gradually replacing traditional landline phones. Having turned into one of the primary communication channels VoIP penetrates into so many different aspects of our life, such as healthcare, customer service, education and lots more. Such increasing demand for VoIP services is also noticeable among hotel businesses where the development of an efficient communication system is of key importance. Why does VoIP generate so wide interest for this sector ? 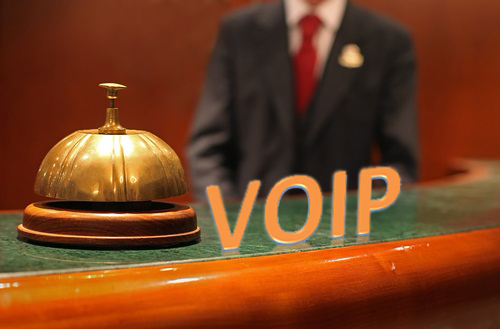 In fact the adoption of VoIP in hotels entails a great many advantages that can bring huge savings and high productivity. For such a huge establishment as hotel is telephone services may greatly affect business processes since communication here is of extremely high importance both for hotel staff and guests. Taking this fact into consideration many hotel owners consider the value of adopting business VoIP phone systems to prevent unwanted expenses on huge phone bills. 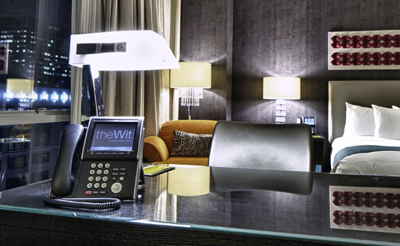 Because of the high cost of landline phone services many hotel guests prefer not to use the telephone at all while in the hotel so as not to have to pay huge bills upon check-out. But in case of VoIP phone systems things get better since calling over a VoIP network is significantly cheaper. VoIP may boast about a highly advanced and robust infrastructure that offers a lot of flexibility in communications. In addition to cheap calls, VoIP consumers are also empowered with an array of handy features aimed to improve the performance. Along with rich and convenient features VoIP also offers videoconferencing capabilities which is an extremely useful tool for business representatives in particular since it helps them manage business deals over long distances effectively and in time. Just imagine how many requests hotel receptionists get by phone on daily basis. To answer each of these inquiries professionally is immensely important. Here VoIP phone systems also serve to best meet the needs of each customer. The possibilities for call forwarding, call waiting, music on hold, voicemail, auto attendant and others facilitate the communication with customers and make it more customizable. The multifunctionality of VoIP phone systems also assists in eliminating labor costs and increasing productivity for hotel administrators. With VoIP communication channels between employees also become cheaper, faster and easier. Choosing the right communication system is incredibly important to ensure smooth and efficient interaction between colleagues and customers. Many hotels across the globe rely on business VoIP solutions that have proven to be the cornerstone in building a reliable, cost-effective and easy-to-manage communication platform.